Art and other crazy things I work on! 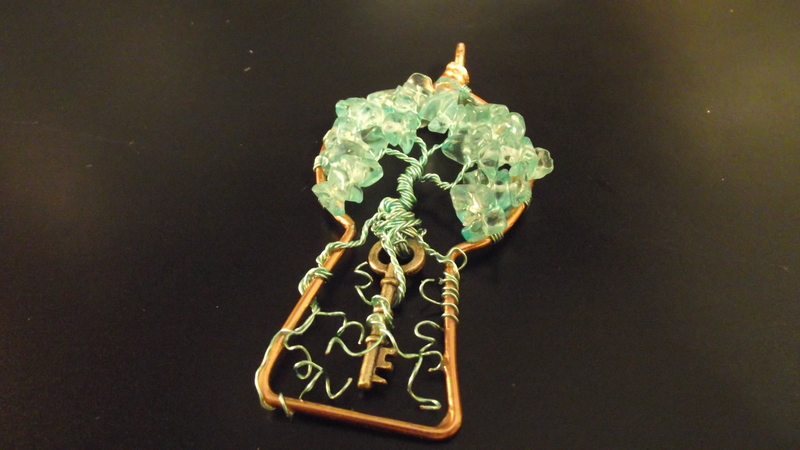 This piece is one of my more creative ones, A light blue tree with sea-glass beads wrapped around a key and through a key hole shaped pendant! This combination of white and purple came out perfect. Almost has a look of just getting snowed on, which is just right for this season. That is the name of one of the wires in this tree. The way that it floats on the ocean, with all it’s swirls and foamy cyclones, is so hypnotizing. Then there’s seafoam candy which is just amazing, I used to work in a candy store and that was my favorite thing to snack on while making caramel corn. 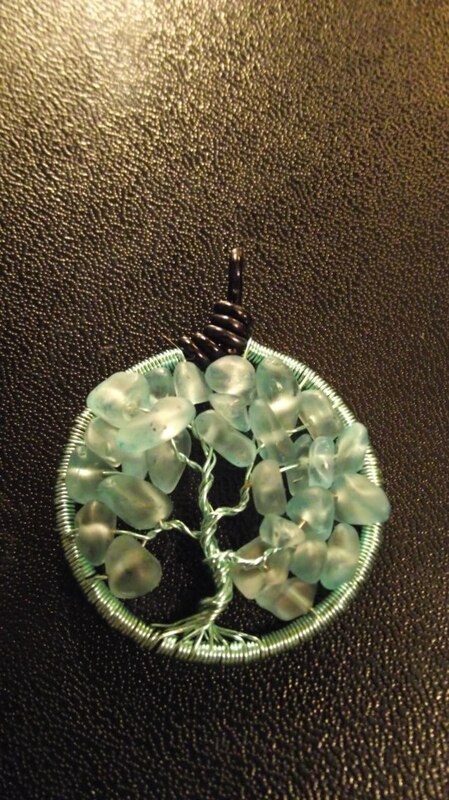 This is a blue and seafoam colored tree wrapped around a rectangle frame. I feel like this one needs a fish or something swimming around it or through it since it has such an underwater feel. One of my aspirations in life is to be a scuba diver. It might help me with my fear of water, swimming around under the ocean, seeing all the magnificent undersea life whilst being able to actually breathe. I find it crazy that there are depths of the ocean that haven’t been explored and we (being the world) doesn’t even know what could be down there. Coral reefs alone are just straight-up amazing! And all the beautiful fish there are. 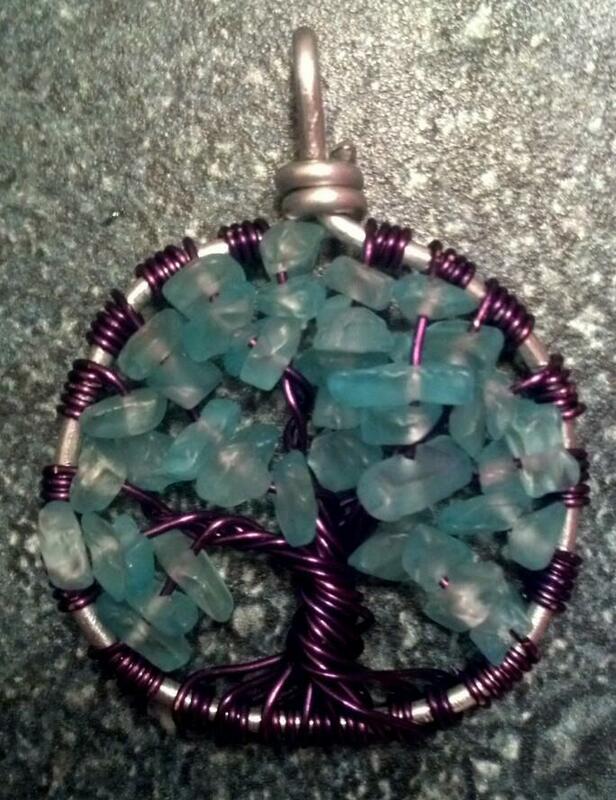 This tree piece is made with wire in the color of “grape” and given teal sea-glass for the branches. The sea is everything. It covers seven-tenths of the terrestrial globe. Its breath is pure and healthy. It is an immense desert where man is never alone for he feels life, quivering around him on every side. There is supreme tranquility. The sea does not belong to despots. On its surface iniquitous rights can still be exercised, men can fight there, devour each other there, and transport all terrestrial horrors there. But at thirty feet below its level their power ceases, their influence dies out, their might disappears. Ah, sir, live in the bosom of the waters! There alone is independence. There I recognize no masters! There I am free. Bonsai trees are the Japanese art form using miniature trees grown in containers. This was my first attempt at making a bonsai like tree in a sideways rectangular, granted I was when i made this but I think it came out well. I love bonsai trees and wish i had the time and patience to take care of one. 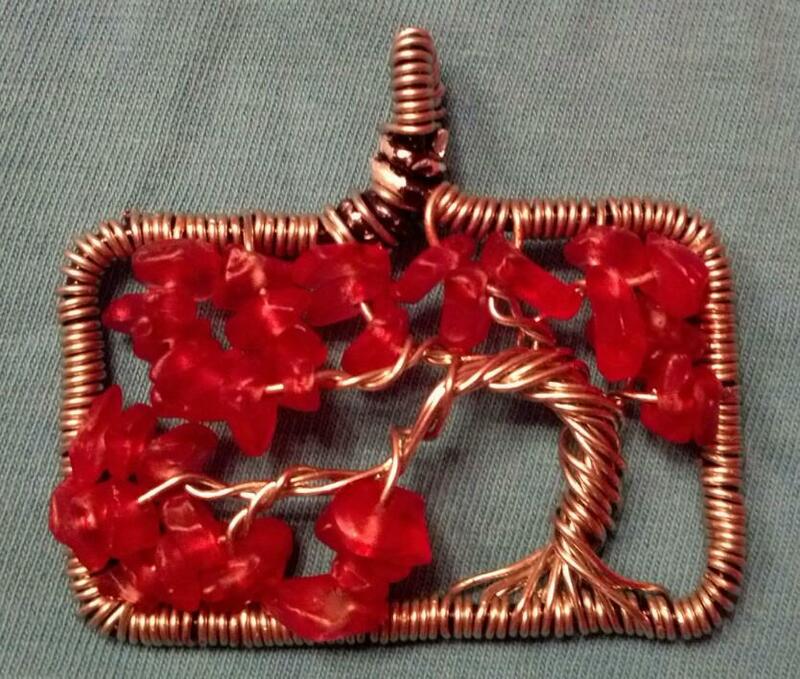 This little beauty is comprised of silver wire around a black frame with red sea glass added on the branches. 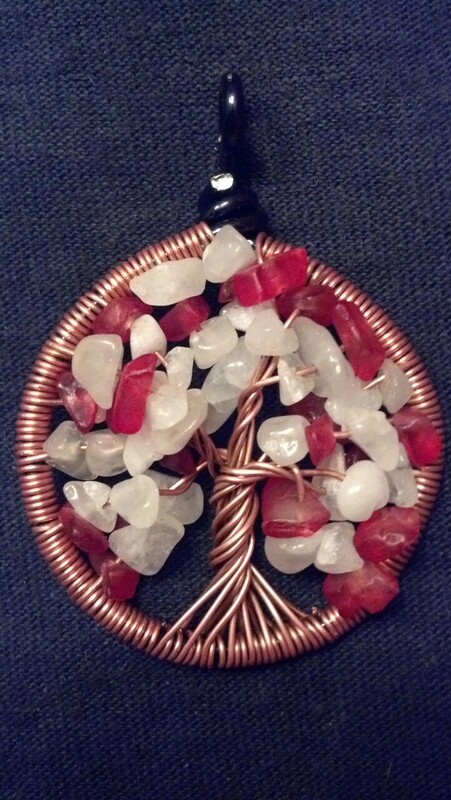 I’ve always liked the idea of a tree with white and red flowers. 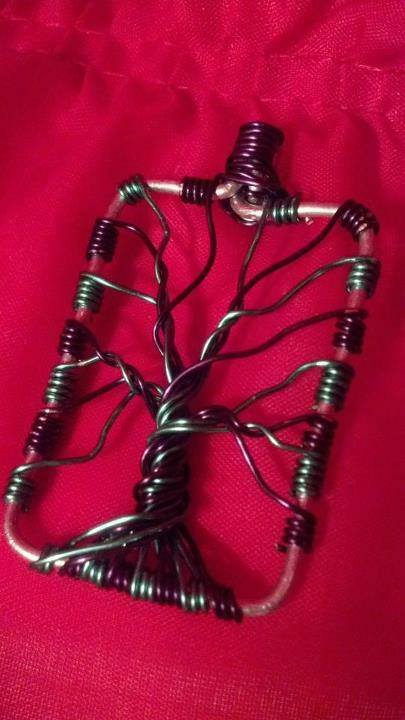 Copper wire tree wrapped around a black frame, the “flowers” are white and red sea glass beads. 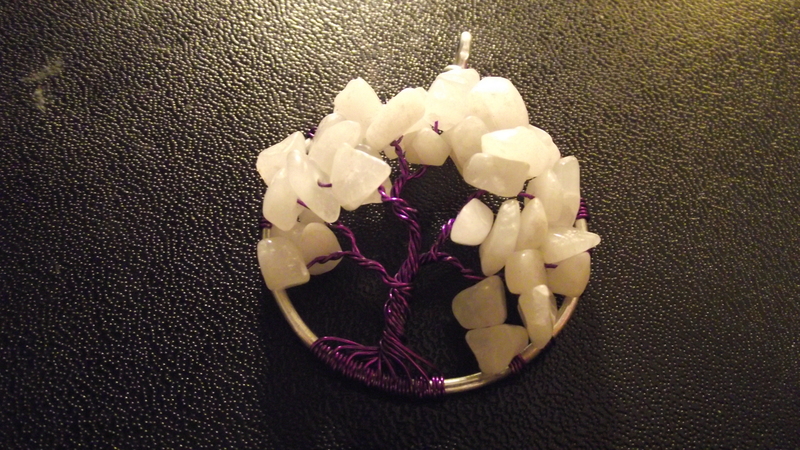 This was the first one I made using beads on the branches.